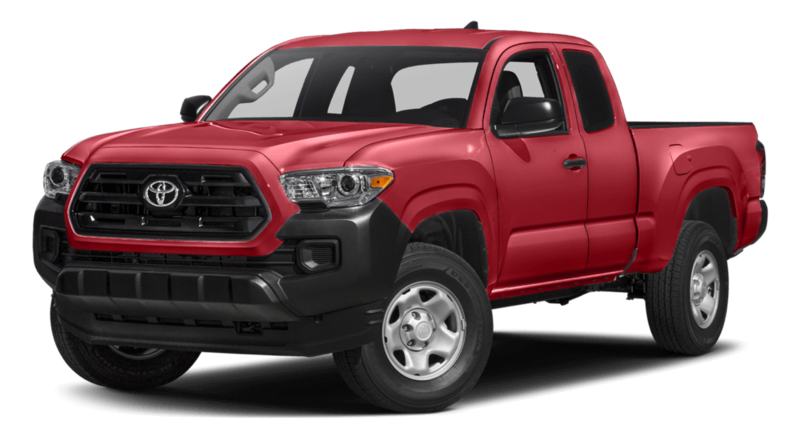 The bold styling of the 2017 Toyota Tacoma is enough to let it stand out from rival trucks across the roads of Santa Ana and Culver City, and those looks conceal a work-ready vehicle packed with state-of-the-art features. From its powertrains to its infotainment system, this is a truck that has been refined to ensure that your expectations are exceeded. 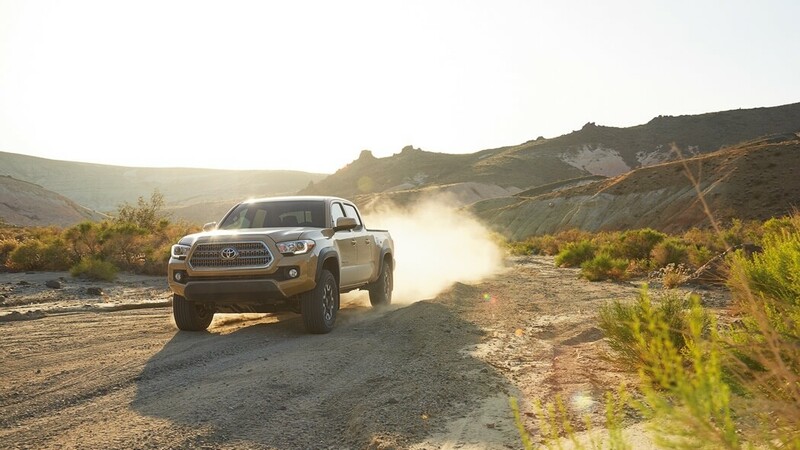 The 2017 Toyota Tacoma delivers an expressive and engaging drive whether you’re heading across the backcountry, hauling a trailer, or simply zipping around the city. That’s something you can thank its sophisticated engine for. 2WD: 19 mpg city/23 mpg highway* with a 6-speed automatic transmission. 4WD: 19 mpg city/21 mpg highway* with a 5-speed manual transmission, or 19 mpg city/22 mpg highway* with a 6-speed automatic. 2WD: 19 mpg city/24 mpg highway* with a 6-speed automatic transmission. 4WD: 17 mpg city/21 mpg highway* with a 6-speed manual transmission, or 18 mpg city/23 mpg highway* with a 6-speed automatic transmission. 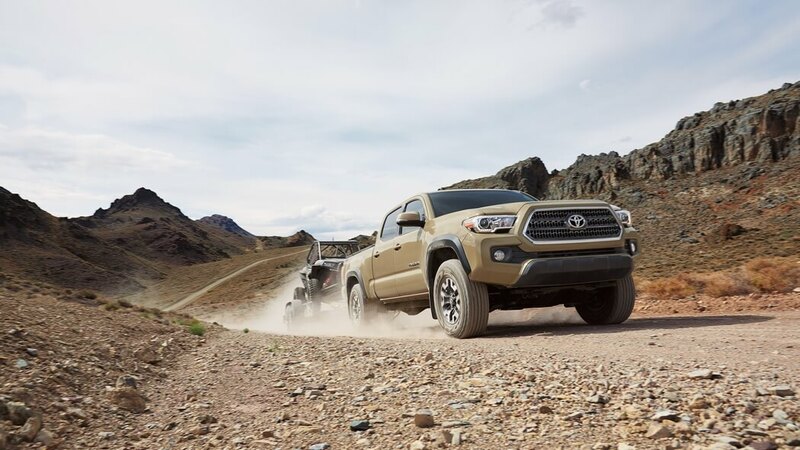 The Tacoma also delivers a number of performance features to allow for the capable and confident traversing of unfriendly terrain. Crawl Control will automatically vary the throttle and braking systems, ensuring that you can maintain focus on your route. You can even cycle between five different drive modes, each one customized to meet the unique demands of separate terrain types. Towing: Properly equipped, the Tacoma is able to tow up to a considerable 6,800 pounds. Payload: The Tacoma can carry up to 1,440 pounds, so there’s little reason to worry about overloading the bed. Santa Ana and Culver City drivers will experience boundless comfort when they ride in the Tacoma. It offers soft-touch materials as standard and is available with leather-trimmed seating surfaces. Dual-Zone Climate Control: Both the driver and their front passenger will receive individual temperature controls. No need to worry about one being too hot or too cold. GoPro Mount: Each Tacoma comes with a GoPro camera mount, so you’ll be able to track your adventures and enjoy them later. Entune Audio System: Whether you need to access music or GPS navigation, you’ll be able to do so with ease on the Tacoma’s high-resolution 7-inch touchscreen display. You can even access your favorite mobile apps with the Entune App Suite. Qi-Compatible Wireless Charging: Having your smartphone run out of battery can be a major problem — it sometimes seems like our whole lives run through them, after all. 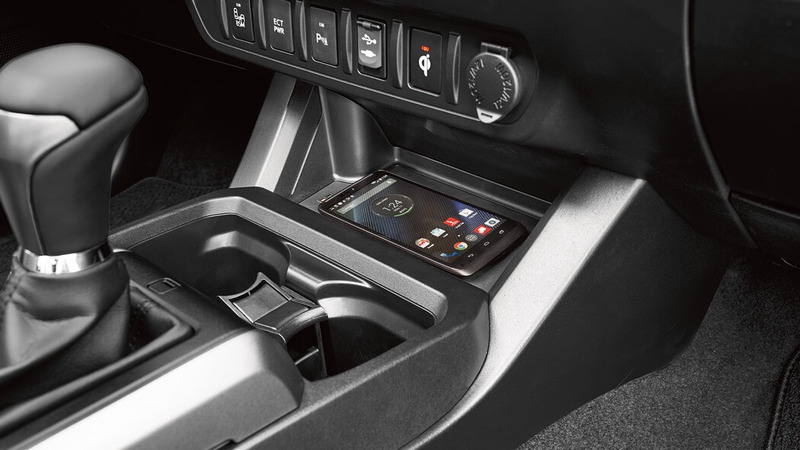 Just put yours on the available Qi wireless charging platform to have the battery filled as you drive. 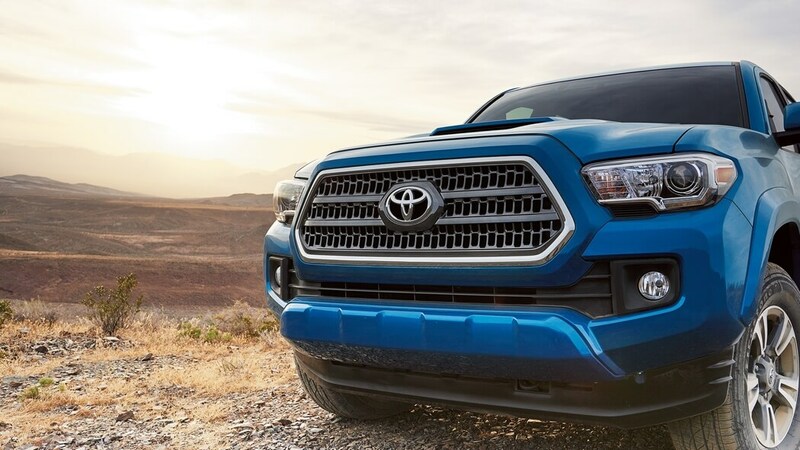 The 2017 Tacoma has been developed with high-strength steel throughout. Both lightweight and incredibly resilient to damage, it optimizes performance while ensuring heightened peace of mind compared to many other trucks on the market. Rear Parking Assist Sonar: Sensors read the area behind your vehicle; audible chimes vary in intensity as you approach rear obstructions. Blind Spot Monitor: Provides a warning indicator on the appropriate side-mirror if a vehicle enters your blind spot. Rear Cross-Traffic Alert: Delivers a warning if vehicles are approaching from your right or left while you’re backing up. There’s more than one reason why discerning truck drivers around Santa Ana and Culver City, CA are opting for the 2017 Toyota Tacoma. To explore the vehicle for yourself or arrange a test drive, just visit Marina Del Rey Toyota today. * 2016 EPA-estimated city/highway mileage. Actual mileage may vary.